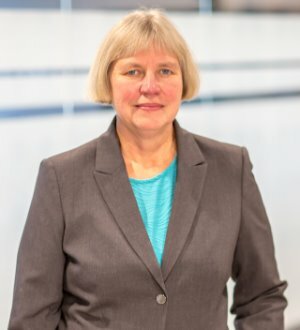 Kay Nord Hunt is an appellate advocate who has handled over 600 appeals to the Minnesota and Wisconsin appellate courts, the Seventh and Eighth Circuit Courts of Appeal, other specialty courts and other courts around the nation where she appears pro hac vice. As Lommen Abdo is a broad-based litigation firm, she has handled appeals in virtually every area of the law. Because of her expertise in appellate practice, she also regularly associates with other law firms to assist them with their appeals.There is a distinction between trial work and appellate advocacy that is sometimes difficult to discern when the trial lawyer is so close to a case. Both Kay’s clients and referring attorneys find it helpful to engage her to obtain an independent opinion to refocus on the pivotal issues to be presented on appeal. As appellate counsel, she sees the case the same way an appellate court does — from a written record. She understands how appellate judges think, knows the standards of review, and focuses on making the appeal as persuasive as possible. Her cases are all in the civil arena, such as disputes involving trusts, liens, insurance, employment, contracts, professional liability, family law, medical malpractice and many other areas. She works closely with trial lawyers and handles temporary injunctions, certification matters and other complex hearings; she prepares or responds to motions to exclude expert testimony, motions for summary judgment and other dispositive motions, motions seeking sanctions and post-trial motions; she monitors trials to preserve issues on appeal; she prepares trial briefs; and she handles mandamus or interlocutory appeals. Kay is a member of the American Academy of Appellate Lawyers, is among the Best Lawyers in America, was named the “Minneapolis Best Lawyers Appellate Practice Lawyer of the Year” for 2012 and again in 2018, is in the list of Top 100 Minnesota Super Lawyers and is included in the Super Lawyers list in the area of appellate advocacy. She was selected as a “Minnesota Attorney of the Year” in 2013 by Minnesota Lawyer. She is also an adjunct professor at the University of St. Thomas School of Law. She was appointed by the Minnesota Supreme Court to serve on the Supreme Court Advisory Committee on the Rules of Civil Appellate Procedure. She is rated AV Preeminent® for the highest level of professional excellence by Martindale-Hubbell. She is an avid Viking and Gopher fan, has many rescue pets and travels extensively.